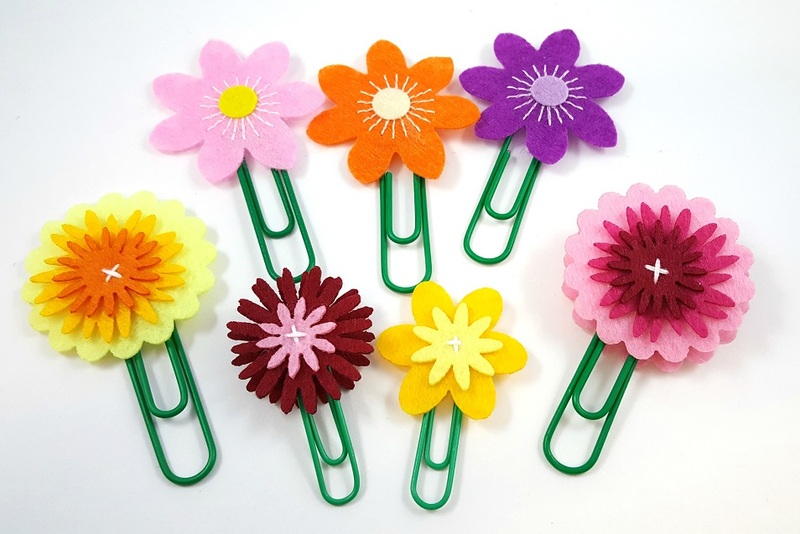 Spring has finally sprung and it’s time to start planning some spring crafts and activities. That’s where we come in! These 15 DIY crafts, kits, and activities are our favorite, featuring all of the best things that remind you of the season – butterflies, flowers, ladybugs, and birds. 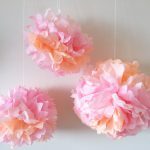 Many of these ideas are craft kits that make at least 12, so they work great for the classroom, after school, Girl Scouts, kids parties, and for senior residents. So start celebrating the warm weather with these fun activities! What better way to welcome spring than with this door hanger craft kit! Perfect for hanging in a classroom or at home. This pack of 12 comes with banners, satin ribbon, and foam flower pieces, but you can also personalize it with these foam bugs and butterflies and assorted sequins. One of our customers shared that she uses these for the Occupational Therapy Department in a skilled nursing facility. The residents love them and they are pretty easy to complete, even for patients with impaired cognition are able to participate. Velvet Art is one of the most popular new craft activities – and now you can add paint! Make beautiful butterflies with watercolor paints. You can also blend colors and create soft shading with paint or colored pencils. You can paint right over the velvet printing so it’s great for almost any age and ability. We also love these velvet art posters as another Spring craft. Sand art is such a unique craft activity. There are so many color themes and patterns you can make. Fill your butterfly or flower with our fine or coarse sand. To add some more artistic creativity, make extra layers of glitter! Or you can add the glitter to the sand and mix them together. 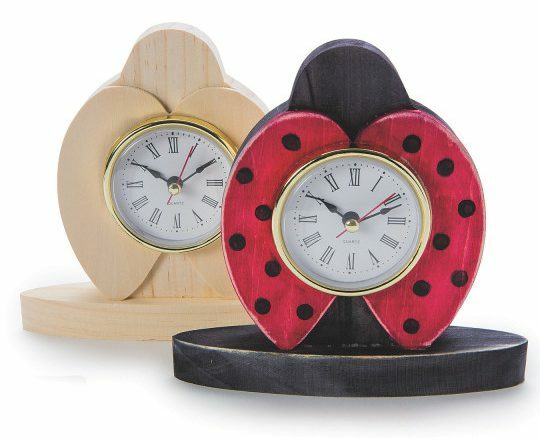 Paint this wood ladybug clock for a fun Spring craft! It comes preassembled and ready to decorate. One of our customers shared: “We used these for VBS and our kids loved them! Our girls added jewels with hot glue and they turned out really cute.” You can also combine this craft with our Butterfly Clocks! Create your own DIY Fairy Garden for the Spring season! Color a fairy door and some small river rocks, then add other accessories to complete your fairy world. This butterfly craft kit is great to use with educational activities. View our free butterfly lessons activity guide for some great ideas. The kit comes with clothespins, chenile stems, coffee filters and everything else needed to create bright and colorful butterflies. 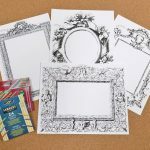 Great for hanging in the classroom with string or yarn to display the beautiful artwork of your students! Build and design your own birdhouse! 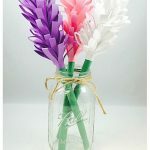 Our customers had some great activity ideas for this craft: A great building project for summer camp, a classroom activity for Mother’s Day gifts, and a project for a men’s group at a nursing home. Each group really enjoyed assembling and painting their birdhouse. Many of them even wanted to make 2 or 3 of them. You can also spray the birdhouses with a varnish and sealant so they can be used outside. 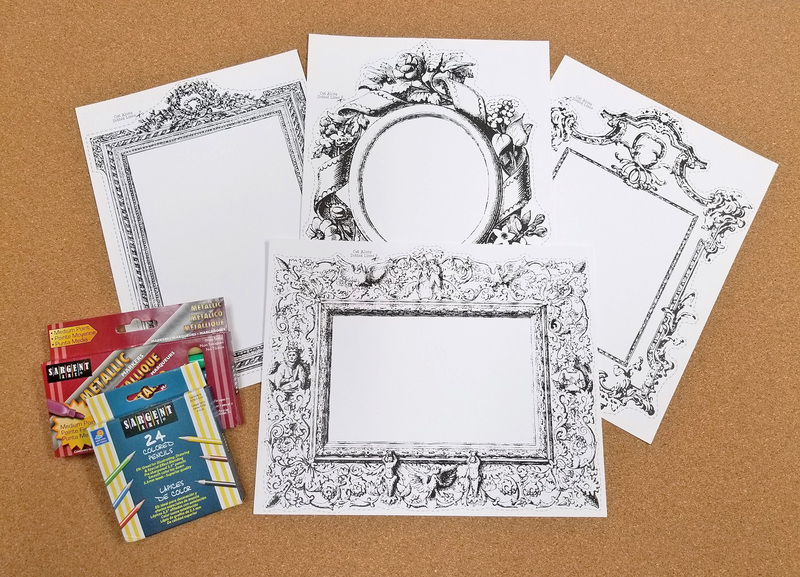 This pack of adorable mini frames is perfect for a Spring theme. It comes with unfinished, individually wrapped wooden frames. Use paint or markers to decorate and embellish with glitter or sequins. 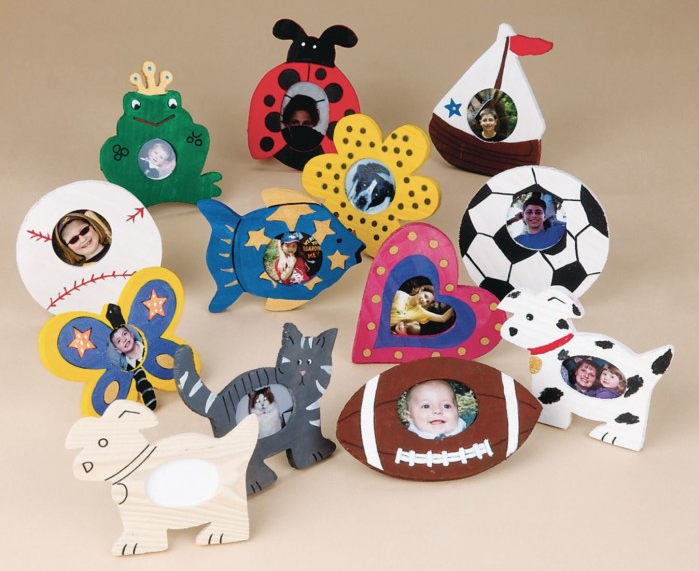 The pack includes 3 each of 12 designs – frog, baseball, ladybug, sailboat, flower, fish, heart, soccer ball, dog, football, cat and butterfly. Includes dowel for them to stand. Kids can put a photo of themselves in the finished frame and give as a gift. Check out all of our wood frames here. 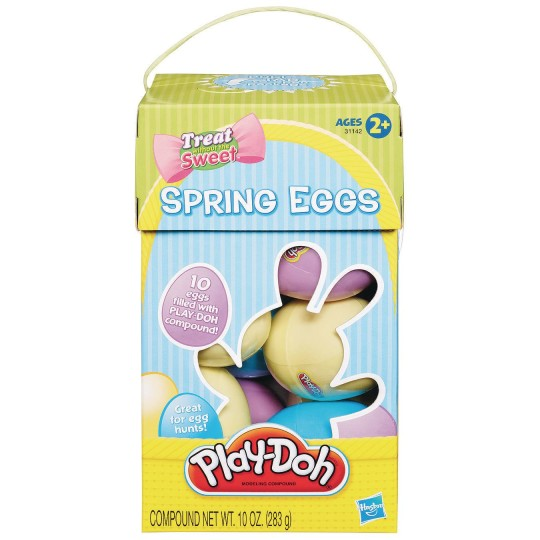 Add some sensory fun to your Spring activities with these pastel eggs! Each egg is filled with a different color of Play-Doh modeling compound. This craft kit allows you to create 3 adorable ladybug projects – a sun catcher, ribbon windsock, and winged ladybug. Use simple collage techniques to make all three. You will get 24 of each project, so it is a great group activity for the classroom or after school. This kit was designed by Amanda Formaro from CraftsbyAmanda.com and is exclusive to S&S Worldwide. 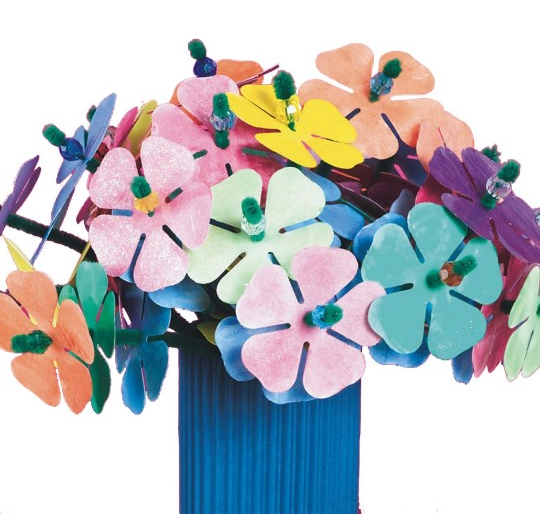 Make beautiful flowers easily with this kit and arrange them in a spectacular display of color. Just paint the precut flowers with the watercolors included, and string them onto the fluffy stems with a bead to hold in place. Includes tube watercolors, glitter glaze for added accents. 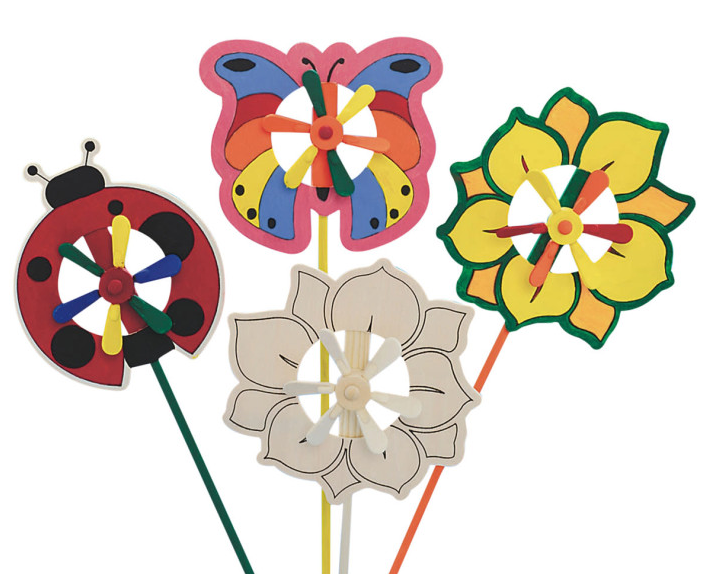 Pinwheels make a nice addition to a garden. 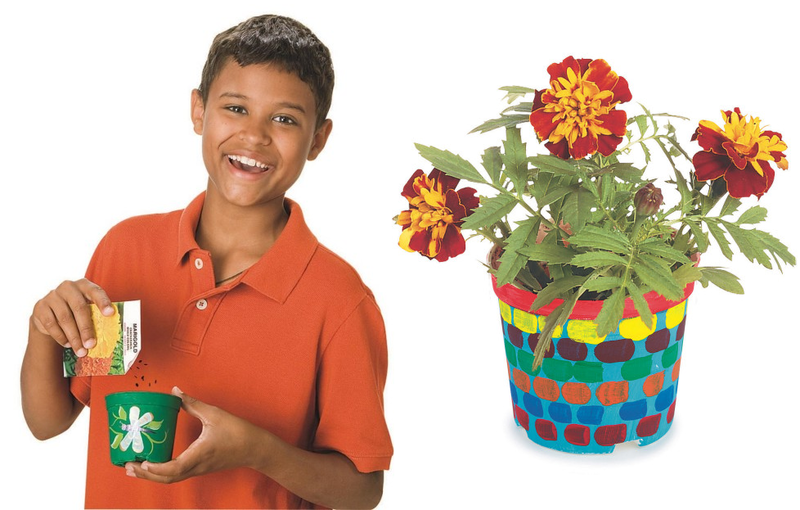 This craft kit comes with flowers, butterflies, and ladybugs. Kids can decorate them with paint and put them in their parent’s garden, or in the garden at school or at camp. Our customers have used this activity for Girl Scouts, and for summer camp. One camp counselor shared that they have a butterfly garden and use these for an educational lesson. Our wind chime suncatchers are a customer favorite. The kit comes with 4 each of a ladybug, butterfly, and bumblebee, and the cords and chimes are pre-assembled. Use stain to decorate! This last Spring craft item is a drawstring bag with a velvet butterfly outline. Using fabric markers, color in the butterfly, then add some other designs like leaves and flowers. A helpful tip is to line the inside with newspaper to prevent bleed through. Kids can use these for carrying items on field trips, vacation, camp, and more. We also have a flower drawstring bag. We hope you love these spring craft kits as much as we do. Tell us your favorite! This entry was posted in Arts & Crafts, Spring Crafts and tagged after school, Art, bees, birdhouse, butterfly, classroom, Craft Kits, crafting, Flowers, kids craft, ladybug, Paint, Spring Crafts, suncatcher, velvet art by S&S Worldwide. Bookmark the permalink. precioso todo, felicitaciones. gracias por compartirlo.